Use two monitors with your CPUs with IOGEAR's advanced Dual-View KVMP switch. Independent peripheral switching allows you to switch CPU focus without interrupting USB or audio operations. 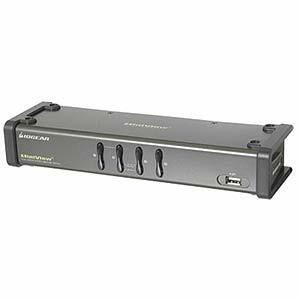 Equally compatible with Sun workstations and Macintosh computers, the Dual-View switch is easy to install and operate.